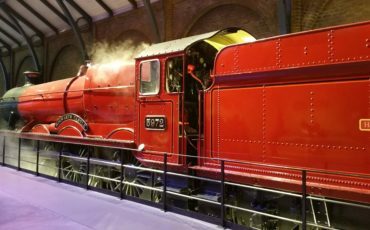 Want to find a really famous, real cat in London? Behind the black iron gates of Downing Street, home of the British Prime Minister, you might be lucky enough to spot Larry the grey and white tabby cat. Larry has the official title ‘Chief Mouser to the Cabinet Office’. He has been in residence since 2011 and is responsible for keeping the mouse population in check. Sometimes Larry can be seen fighting another political pussycat from a different government office opposite. His rival is Palmerston, the black and white cat who also has an official title, ‘Chief Mouser to the Foreign and Commonwealth Office’. 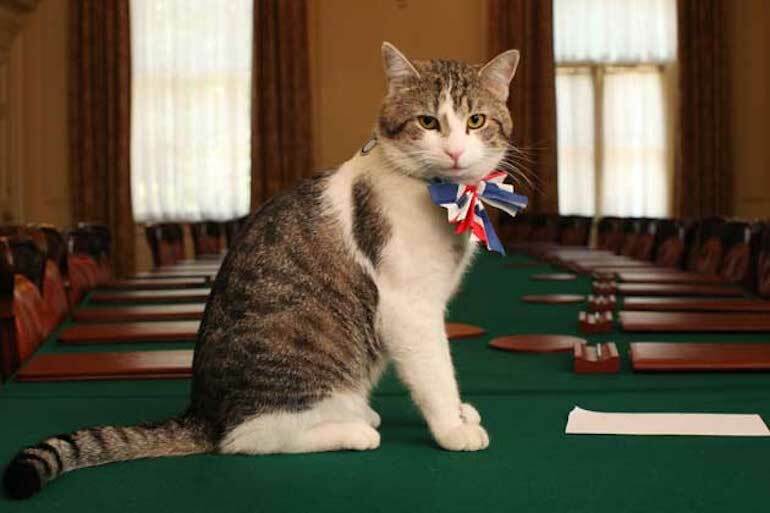 Famous Cats in London: Larry, Chief Mouser to the Cabinet Office. Photo Credit: © OGL via Wikimedia Commons. The four huge bronze lions each weighing seven tons and sitting majestically underneath Nelson’s Column in Trafalgar Square today make one of the most famous sites in London – a must-do photo! Even though the column and statue of Nelson were completed in 1843, the London public had to wait 24 years for the arrival of these big cats. Look closely at the paws – are they complete? The designer was Sir Edwin Landseer who asked for a dead lion to be brought to his studio so he could create a real likeness. However, he took so long to complete the sketches that the corpse began to decompose and he had to make up some parts of the animal including the paws which is why they lack detail. 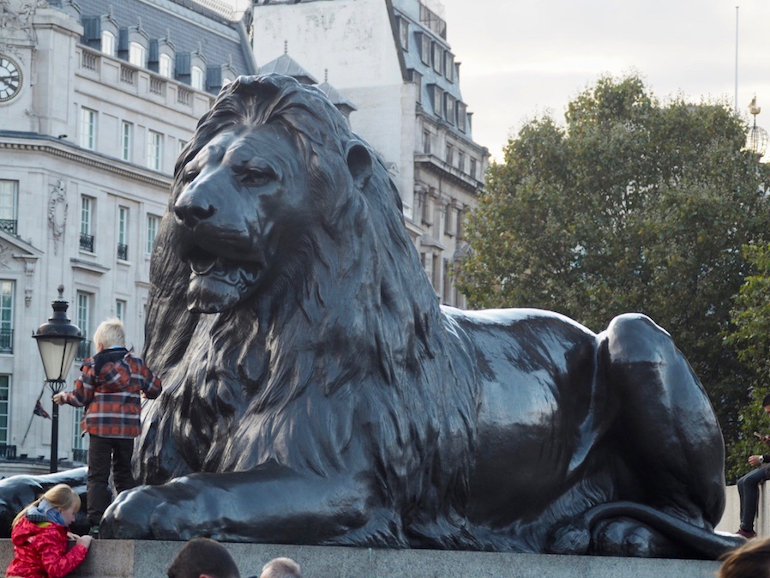 Famous Cats in London: Big Cats in Trafalgar Square. Photo Credit: © Ursula Petula Barzey. 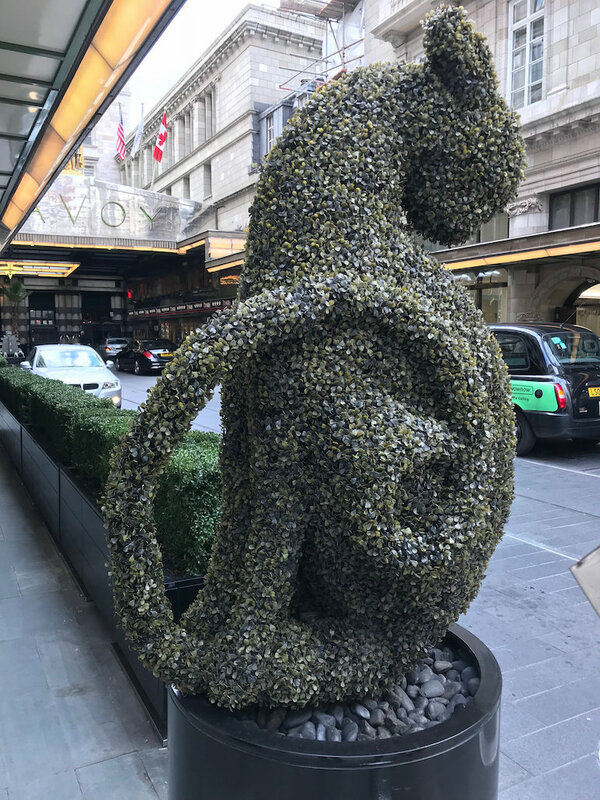 Walk past the entrance to the famous 5-star Savoy hotel on The Strand and you will see a topiary cat. This reminds us of the story of Kasper the Cat and Mr. Woolf Joel, a businessman who in 1898 ignored warnings that hosting 13 people to dinner at the hotel would bring bad luck. A few weeks later he was gunned down in South Africa. Wanting to avoid negative publicity, the hotel decided to use a specially commissioned 2ft art deco black cat who would always be the 14th diner in case of an unlucky 13 number of guests. This tradition continues to this day and Kasper sits at the table with his own napkin and is served the same food and drinks as the other guests. Famous Cats in London: Kasper the Cat at Savoy Hotel. Photo Credit: © Matt Brown via Wikimedia Commons. In the Egyptian Hall on the ground floor, we find the beautifully elegant Gayer-Anderson Cat. A life-size copper alloy statue with gold earrings and a nose ring. It is believed to date from around 600BC and was donated to the British Museum in 1939 by Egyptian artefact collector Major John Gayer-Anderson. 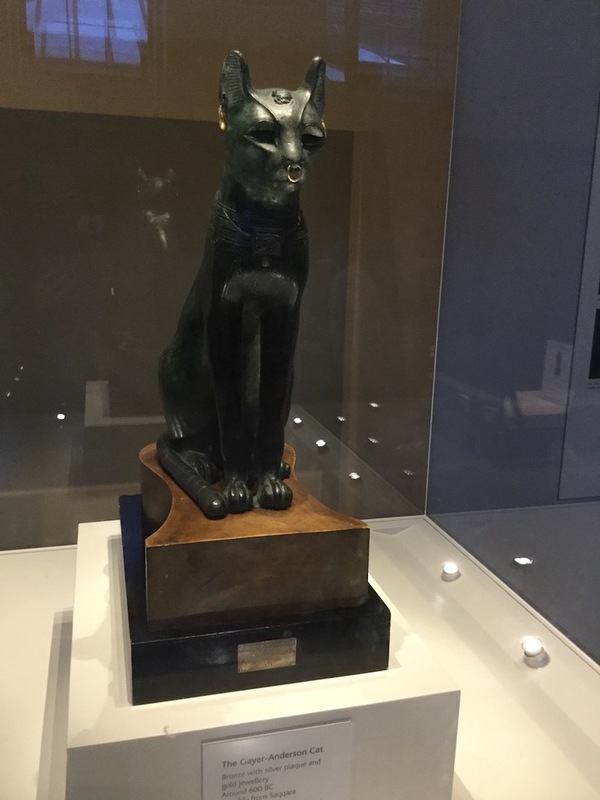 Statues or real mummified cats were often placed in temples or tombs as representatives of the gods and cats were associated with the goddess Bastet. Cats were seen as a good reflection of the power of gods because they made good mothers, they could be very fierce and were great hunters. Famous Cats in London: Gayer Anderson Cat at British Museum. Photo Credit: © Sue Hyde. 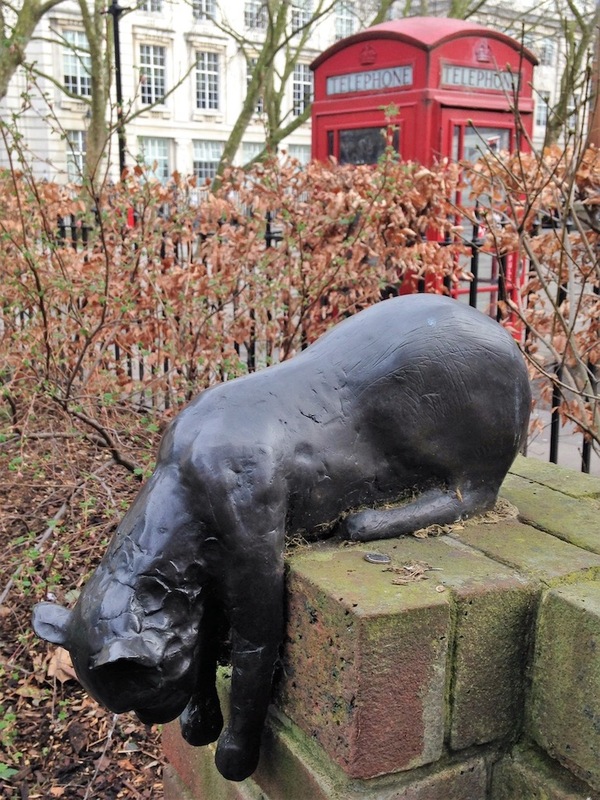 A small statue of Sam the cat can be found next to a red telephone box in Queen Square, 10 minutes’ walk from the British Museum. 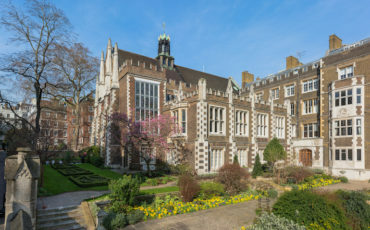 Several hospitals, including the world-famous Great Ormond Street Children’s Hospital, are located here and Sam’s statue was donated by the local community in memory of Patricia Penn, a nurse, campaigner, and cat-lover, who died in 1992. Sam the Cat was one of Patricia’s pets, but as a member of Queen Square Resident’s Association, she would use the cat in committee meetings as a way of saying she had heard a rumour things were not right, “Sam told me something is going on,” she would say! Famous Cats in London: Sam the Cat in Queen Square. Photo Credit: © Sue Hyde.